THE B-MOVIE NEWS VAULT: Trailer Round-Up: FISTS OF FURY, GUARDIANS, NEVER HIKE ALONE, PARASITES, and SADAKO V KAYAKO! Trailer Round-Up: FISTS OF FURY, GUARDIANS, NEVER HIKE ALONE, PARASITES, and SADAKO V KAYAKO! Buckle in and hold on tight Vault Dwellers, because this week's trailer round-up is chock full of action, adventure, thrills, and chills! We've got Russian superheroes, a new look at a FRIDAY THE 13TH fan film, martial arts mayhem, dueling Japanese spirits, and an urban nightmare! Scroll down, start watching, and get excited! Martial arts superstar Cynthia Rothrock hosts this trailer reel of awesome kung-fu classics! Watch action-packed previews of chop-sockey favorites, featuring femme fatales, Bruce Lee clones, ninjas, and more! If you love kung-fu flicks, and movie trailers as much as I do, then this is a must see (or must own)! When a supervillain threatens Moscow, four superhumans must rise to defend Mother Russia. This is sort of like Russia's version of the Fantastic Four: One hero is mini-gun toting were-bear who can transform at will, another can encase himself (and control?) stone, a third can turn invisible, and the fourth has superhuman speed, and scythe-like blades that can cut through just about anything! INJECT THIS MOVIE INTO MY EYEBALLS NOW! I shared the teaser trailer for this upcoming fan film before, but I couldn't help but revisit it once the new trailer dropped! NEVER HIKE ALONE looks pretty damned cool, and features a lone adventurous hiker stumbling upon the remains of Camp Crystal Lake, which is still haunted by everyone's favorite cinematic slasher: Jason Voorhees! Scope out the new and improved trailer below, then consider making a pledge to the NEVER HIKE ALONE KICKSTARTER CAMPAIGN! A trio of lost college students stumble across a band of bloodthirsty vagrants who rule the underpasses and alleyways of downtown LA. After two of them are picked off by the killer hobos, the final, desperate teenager runs for his life. He must then fend for himself against the depraved transients, who are always just a few steps behind! Check out the trailer for this Carpenter-esque thriller below! What started out as an April Fool's prank has now become a major motion picture! When the accursed tape from "The Ring" begins circulating on the web, a plan is forged to defeat the evil Sadako permanently, by pitting her against another evil spirit: Kayako from THE GRUDGE films! Who will win, and will the curse(s) be lifted?! Find out in a few weeks... if you subscribe to Shudder that is. That's it for this edition of the trailer round-up! 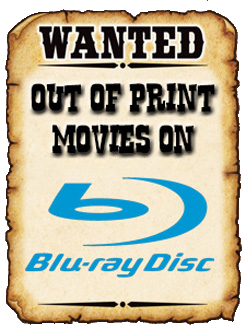 Check back again soon for more cool trailers, Blu-ray news, and more, right here at The B-Movie News Vault!